The All Party Parliamentary Jazz Appreciation Group (APPJAG) was set up by interested Members of Parliament in the UK to promote the use and enjoyment of jazz as a music form. 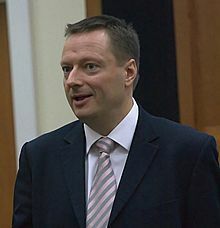 The Group has over one hundred members from both the House of Commons and the House of Lords, and is jointly chaired by a Member of the House of Commons and a member of the House of Lords. 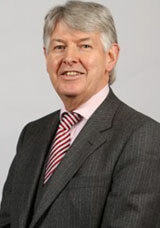 Until 2015, the joint chairpersons were Michael Connarty, MP for Linlithgow and Falkirk East and Lord Tony Colwyn, himself a very fine trumpeter and band leader. Administrative services were originally provided by Jazz Services but changed in 2015 when Jazz Services re-formed as JazzUK. Michael Connarty pays tribute to former MP Bob Blizzard who served for some time as Secretary for APPJAG and continued to support the group - 'He really deserved co-production billing. He also chaired Jazz Services for 3 years,' says Michael Connarty. Michael Connarty recalls: 'The great innovation that started with APPJAG was the introduction of 'live' jazz music in the House of Commons. This started with 'Jazz In The House' which after six years is still held each November in co-operation with Serious and Radio 3 to celebrate the London Jazz Festival. It brings together those working in the industry as promoters and artists and jazz-supporting MPs and Lords, to talk about the ongoing state of the jazz scene, and has live music in the Terrace Pavilion of the House of Commons'. APPJAG teamed up with Phonographic Performance Limited (PPL), the body responsible for collecting royalties for the playing of auditory recordings, and who have sponsored three other events with live music in the Commons each year. The General Election in 2015 resulted in some disruption to the activities of APPJAG. With a surge in Scottish National Party support, Michael Connarty was not re-elected to his seat in Scotland. Whatever the political implications, APPJAG lost a long-standing advocate for jazz, and jazz in the UK will miss an enthusiastic supporter of the music in Parliament. Michael Connarty's work was recognised when he was presented with an APPJAG Special Award in 2016. Each January, there has been a 'Youth Band' event. The first band featured was Tomorrow's Warriors with Guy Barker, and since then, others have featured the Wigan Youth Jazz Orchestra Octet with Georgie Fame; the TS Scottish Youth Jazz Orchestra Octet with Tommy Smith, the Doncaster Youth Jazz Orchestra Octet with Dennis Rollins, 'Hot House' (formerly the East Midlands Youth Jazz Orchestra - EMYJO) with saxophonist Alan Barnes and the North East's jazz ensemble, Jambone, with with their musical director, Skye-based trombonist, composer and arranger Rick Taylor. NYJC 'supports the creative and educational needs of the young jazz musician. 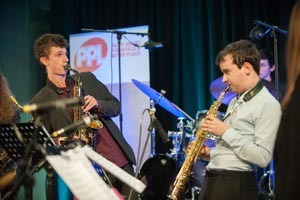 It focuses on small group improvisation and creates a pathway of progression designed to support young jazz musicians from beginner to emerging professionals through a rolling programme of regional activities across England, the National Youth Jazz Summer School, and by supporting the needs of regional educators and music leaders.' The Summer School this year for young people of 14 to 18 years of age will be held at Uppingham School in Rutland from 9th -16th August. The second main live event has been the Annual All Parliamentary Jazz Awards. The event is somewhat dependeant on the business of Parliament. As there was a General Election in May, 2015, the event was held earlier in March, but in 2016 the Awards were back to their usual spot in May. In 2017 they were held in October at Pizza Express Live in Holborn rather than at Westminster. 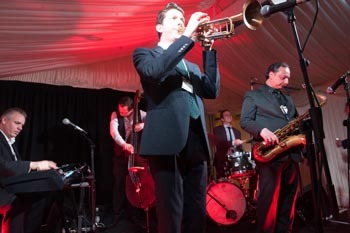 Tthe Parliamentary Jazz Awards are a premiere event in the UK jazz calendar and are voted for online by the public with a shortlist of nominations subsequently voted for by a selection panel of jazz industry figures. Judging members of the All Party Parliamentary Jazz Appreciation Group (APPJAG) then choose the winners. The Parliamentary Jazz Awards are usually held each year in the Terrace Room at the Houses of Parliament. The room runs parallel to the river Thames - you can see the terrace in those pictures of the Houses of Parliament taken from the opposite side of the river. Getting to the room is a journey. Entry is by invitation and as you would expect, security is tight, much like at an airport where all metal objects are placed in a tray on a conveyor and you are screened while holding up your trousers because your belt is in the tray. There is then a walk to the room through an enormous, cavernous, stone lobby and I am wondering whether that was designed to make a man feel small, humbled. Turn left along a corridor where statues of the great and the good look down on you (don't blink! 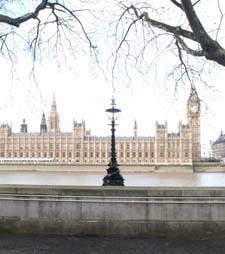 ), across the Central Lobby where the political journalists 'talk to camera' and then down carpeted corridors serving busy committee and meeting rooms that say Parliament is not 'nine to five', and on towards the Thames. The Terrace - you can see the blue canopy above the outside the room. The terrace room is smaller than the ballroom where the JazzFM Awards were held, and there is no separate bar room, although people do go outside on to the narrow terrace above the river to talk and meet. At one end of the room, the Ronnie Scott's All Stars band plays and a small group gather round to hear Freddie Gavita's trumpet solo. In the middle of the room, a temporary stage is erected for the Award presentations. The room is packed with people meeting the award nominees, renewing old contacts and making new ones. I argued last month about how important I think these events are for musicians, jazz venues and activities and the jazz scene generally. A time for recognition of what is being achieved; an opportunity for a coming together of people who make the world of UK jazz happen. The Parliamentary Jazz Awards are promoted by a group of Parliamentarians. Parliament is much like a school or university in the way it has 'out-of-hours interest groups'. 'An All Party Parliamentary Group (APPG) consists of Members of both Houses who join together to pursue a particular topic or interest. In order to use the title 'All Party Parliamentary Group', a Group must be open to all Members of both Houses, regardless of party affiliation, and must satisfy the rules agreed by the House for All Party Parliamentary Groups.' There are many, of which the All Party Parliamentary Jazz Appreciation Group (APPJAG) is one. They are all included in a Register where their purpose and officers are listed - for example there is an All Party Parliamentary Football Club Group whose purpose is 'to play football and raise money for charity' and an All Party Parliamentary Group on Cancer whose purpose is 'To keep cancer on the political agenda, monitor implementation of government initiatives, provide briefings to parliamentarians and ensure policy making is evidence based and patient centred.' The general public is usually unaware of these activities and the range of groups is interesting to see (click here). The purpose of AAPJAG is 'To promote an appreciation of jazz music and to engage Parliament in an awareness of the issues facing jazz music, musicians and promoters.' Of course, there are other benefits from APPGs in that they bring together different members of the House of Commons and House of Lords from all political parties who have a common interest. 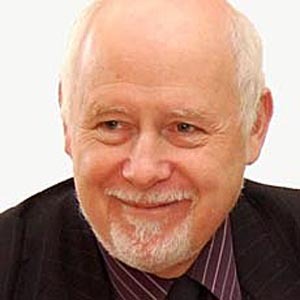 The Group’s officers as at the 19th July 2017 are Co-Chairs, Kelvin Hopkins MP and Lord Colwyn, Secretary, Baroness Coussins, Vice Chairs, Alison Thewless MP and Sarah Champion MP, the Treasurer is Ian Paisley MP. Officers are: Lord Crathorne, John Mann MP andSir Greg Knight MP. The Secretariat team is Chris Hodgkins and Sarah Pellew. The Secretariat team operate on a strictly pro bono basis and no expenses of any kind are paid to the team. The Register also records any registrable (financial) benefits received by the Group and for APPJAG there are none. As with the JazzFM Awards, these events are funded by sponsors. 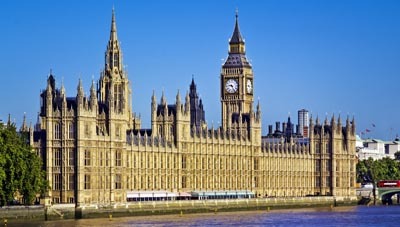 Parliament makes the venue available 'with the permission of the Speaker' but other costs are met by supporting organisations such as PPLUK, the organisation that licenses recorded music in the UK. for Jazz Education. The award itself is a simple wooden wall shield, but the significance of the award is far from simple and I hope that Parliament and the sponsers enable the event to continue for years to come. 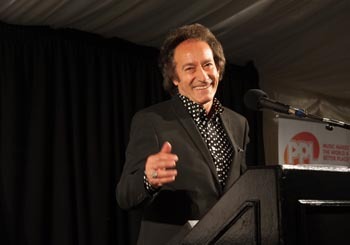 This year's Parliamentary Jazz Awards took place on 16th October at Pizza Express Live in Holborn. Following an online public vote for the Awards, the shortlist was then voted upon by a selection panel who represent a broad cross-section of backgrounds united in their passion and knowledge of jazz. 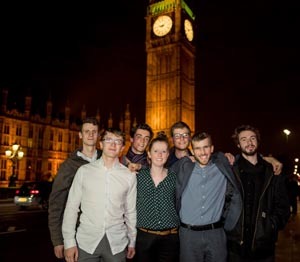 The winners, were chosen by judging members of the All Party Parliamentary Jazz Appreciation Group (APPJAG). During the presentations, a number of those presenting and receiving awards spoke about the reduction in support funding for Jazz, highlighting the difference in grant aid that other genres, particularly Opera, receive in comparison. They also drew the audience's attention to the decrease in music education in schools and the continuing closure of Jazz venues. This was an appropriate occasion to point out these issues and there is no doubt that more support funding is needed, but these factors have been around for some time now and in addition to support funding, new approaches and new thinking about funding support for Jazz is needed. Perhaps a 'meeting of minds' should be arranged to include representation from musicians, venues, Parliament, business, etc? Jazz Vocalist of the Year: Liane Carroll, Georgia Mancio, Zara McFarlane, Ian Shaw. Jazz Instrumentalist of the Year - clarinettist Arun Ghosh. Arun was also nominated for his album But Where Are You Really From? 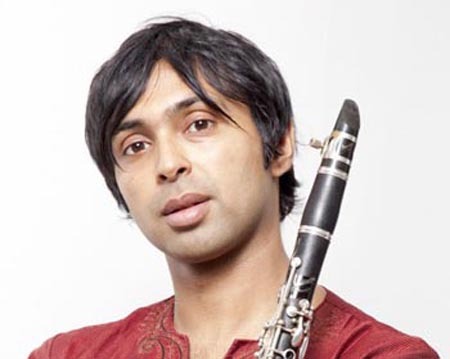 Arun Ghosh is a clarinettist, composer and music educator. Described by Ravi Shankar as a 'natural born improviser', he is a renowned innovator of the modern Indo Jazz style. A passionate, dynamic and eloquent performer, Arun's playing combines South Asian raags (scales) and taals (rhythms), with the musical inspirations of his British-Asian and northern upbringing; jazz, rock, classical, folk, hip-hop and dance cultures. Based in London and Manchester, Arun has released four albums on Camoci Records; his latest, the autobiographical But Where Are You Really From? was released in October 2017, accompanied by an extensive national tour in 2017/18. Click here for a video of Arun and his band playing Dagger Dance. Special APPJAG Award: Gary Crosby O.B.E. 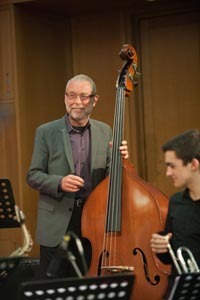 In July the Group has held a Summer Jazz Gig where Yamaha sponsored the 'Yamaha Jazz Scholarships'. 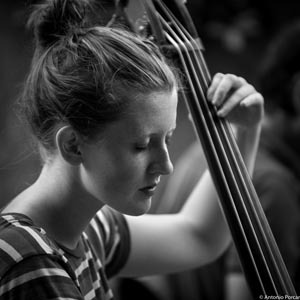 These Scholarships have been awarded annually to final year jazz graduates nominated by the six conservatoires of music in the UK that offer a full-time degree course in jazz. They are prestigious awards for the musicians and a chance for us to take note of exciting and talented young people who we are likely to hear more from in the future. 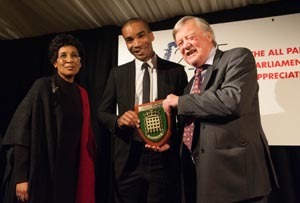 The award ceremony is usually hosted by the All Party Parliamentary Jazz Appreciation Group at Westminster in the summer before Parliament goes to recess, but there was been a lot going on politically in 2016, so in view of the Parliamentary calendar, the Awards took place in October. The scholars each received a voucher for £500 to put towards instruments and equipment at Yamaha Music London, plus a chance to record their music at Astar studios for a sampler CD that will be included with the December/January issue of Jazzwise magazine. The recording gives the scholars a 'calling card' they can use in their personal publicity. The first part of the evening of the 25th October saw the audience entertained by reeds player Pete Long and his Quartet. The Scholarships were then presented before the Scholars played. On this occasion they did not have their own bands present and I wondered how a pianist, 2 bass players, 2 guitarists and 2 drummers would work as a group. With some changing around between tunes, the results were outstanding. If this is the music that will appear on the CD, then get a copy - it should be one of the best coming from this project. It is possible that many people are unaware of the valuable work being done by APPJAG on behalf of jazz in the UK, and it is reassuring to know that the Group has been active and working in support of the music through the awards that are made; the bringing together of important sponsors in the world of music; the encouragement and support of young jazz musicians in partnership with the conservatoires of music, and the opportunities for a variety of people with interest in jazz to come together during the year. Once again, the Parliamentary Jazz Awards were held later in the year in October at Pizza Express Live in Holborn rather than at Westminster. In 2017 the Parliamentary Jazz Awards were held later in the year in October at Pizza Express Live in Holborn rather than at Westminster. Services to Jazz Award - Stan Tracey O.B.E. Jazz Album of the Year: John Turville 'Midas' . Jazz Publication of the Year: 'Goin' Home: The Uncompromising Life and Music of Ken Colyer' by Mike Pointon, Ray Smith, Martin Colyer. Jazz CD of the Year: The Sam Crockatt Quartet 'Howeird'. 50 Years Anniversary Award: Ronnie Scott's Club.